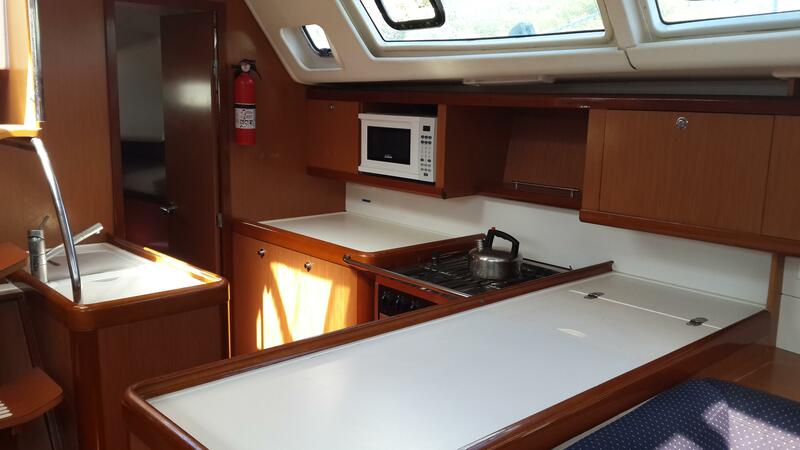 The deal blend of comfort, performance, and user friendliness! 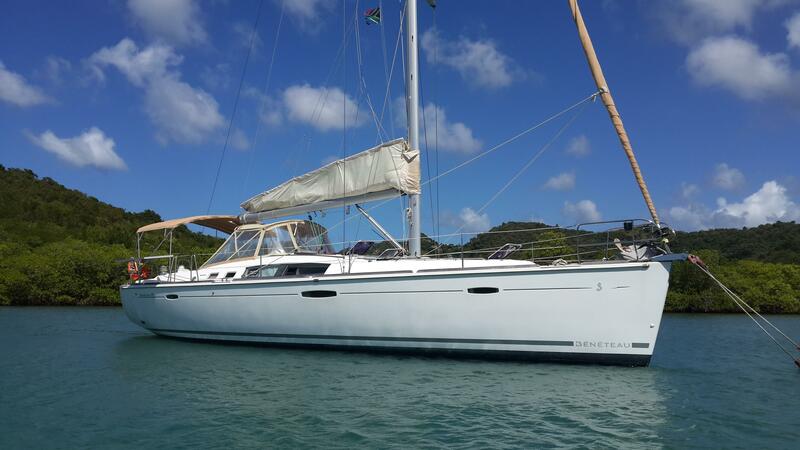 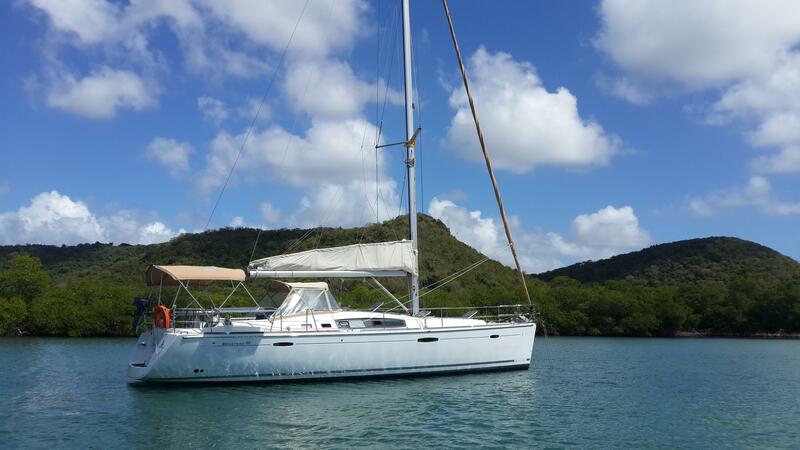 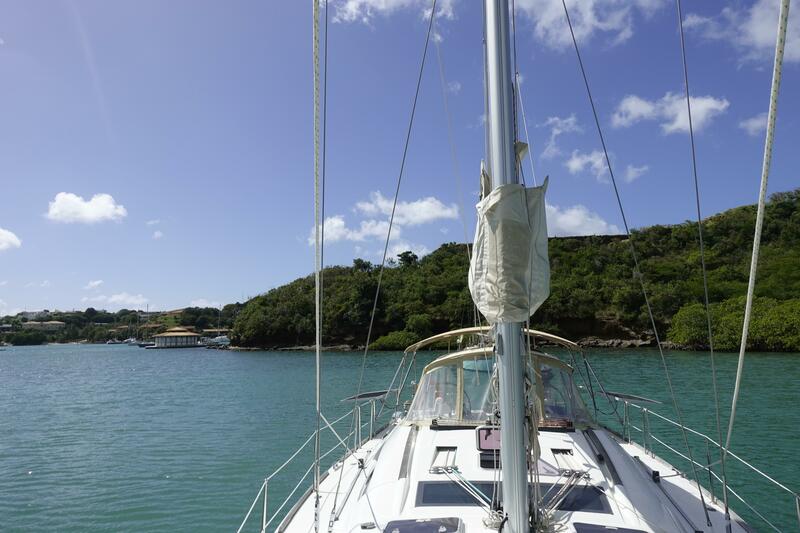 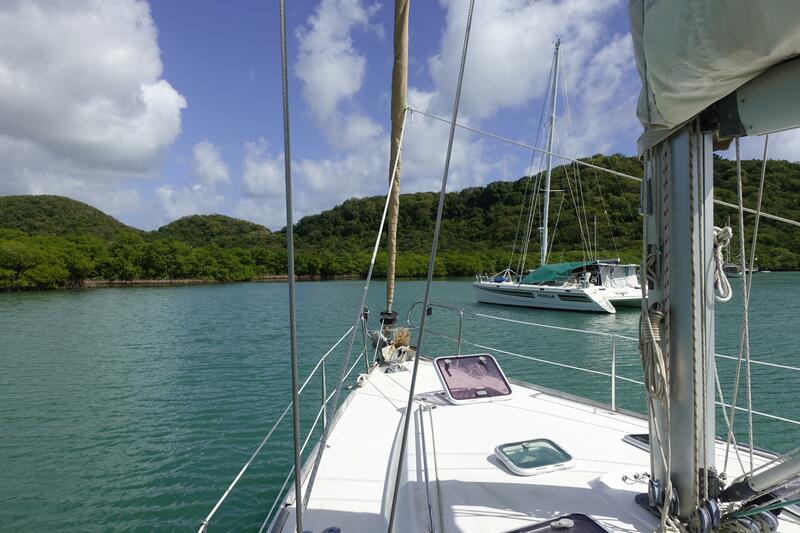 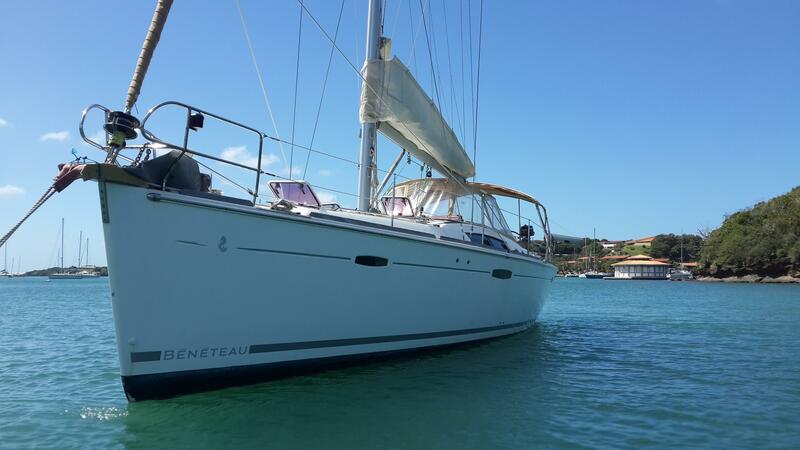 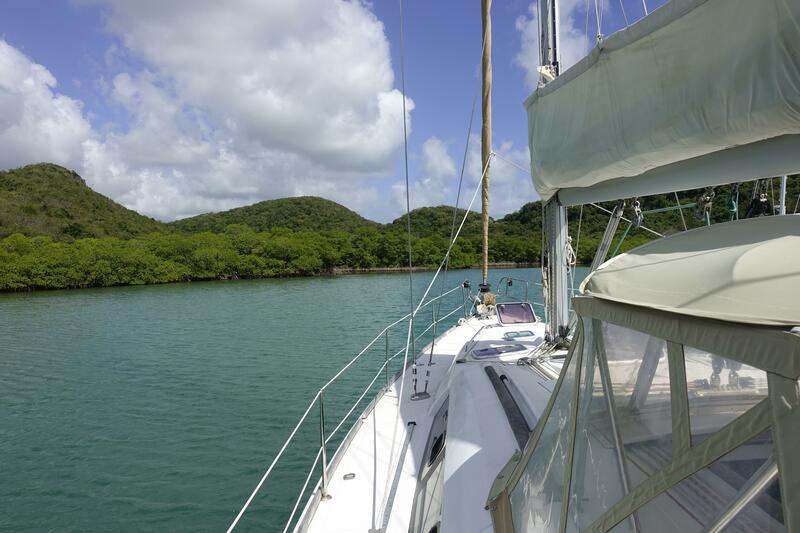 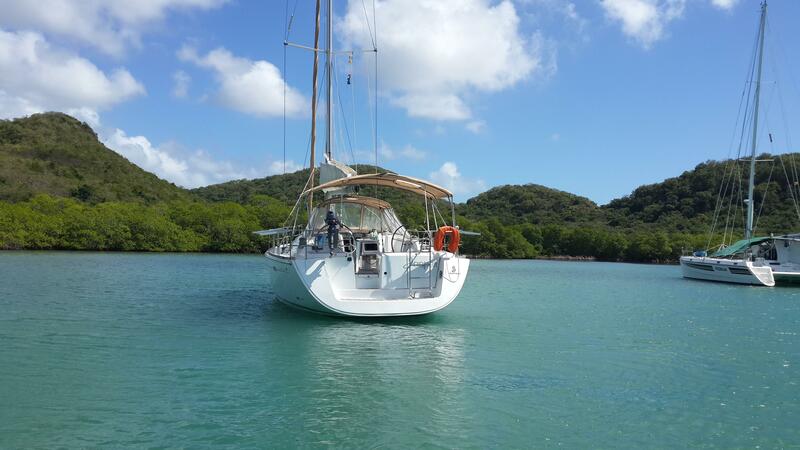 The Beneteau Oceanis 46 is great for weekend cruising as well as capable for crossing oceans. 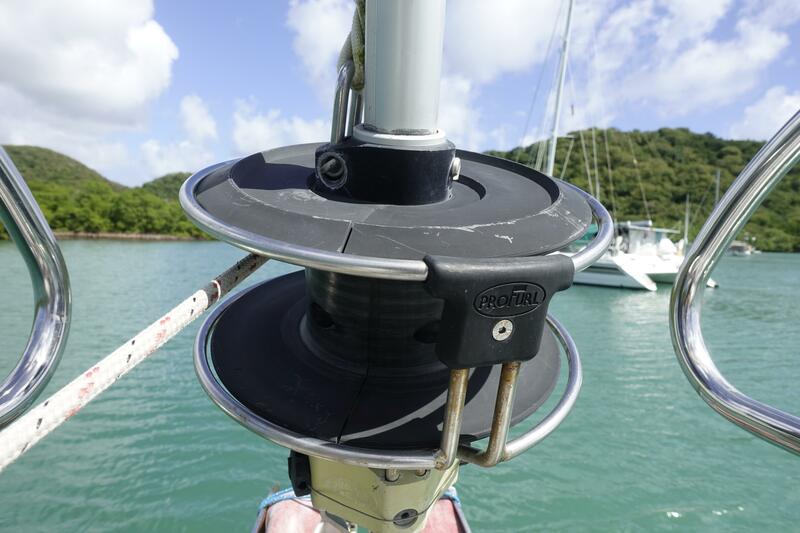 It is easy to handle and it has an uncluttered view across the deck from the helm which is crucial for close-quarter maneuvering. 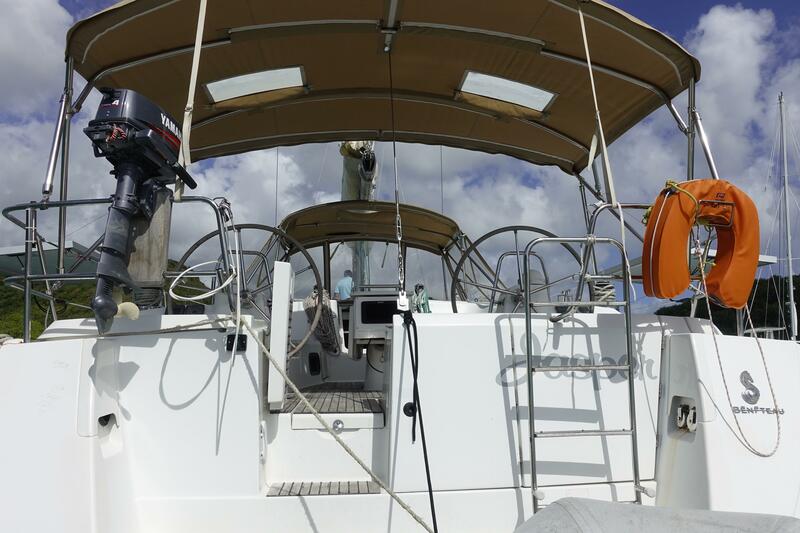 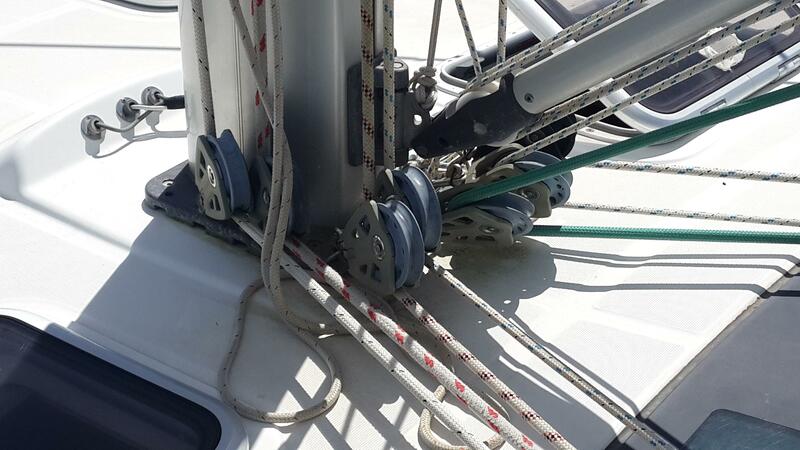 The cockpit features twin wheels which is great for comfort under sail and visibility forward. 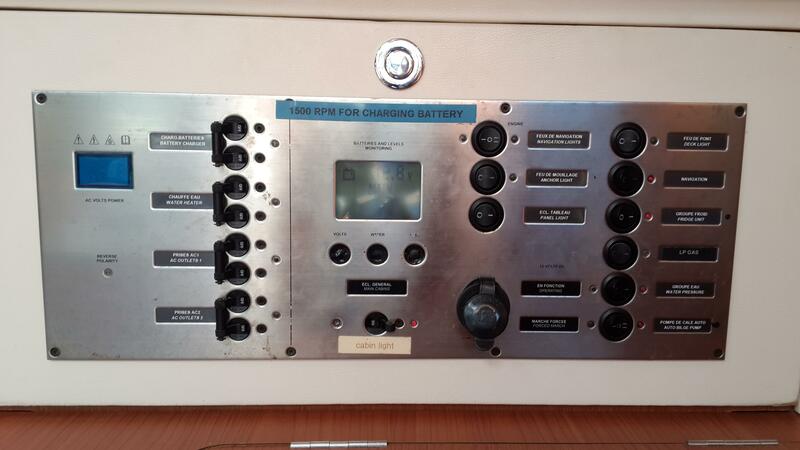 All sail control lines are led aft to the cockpit. 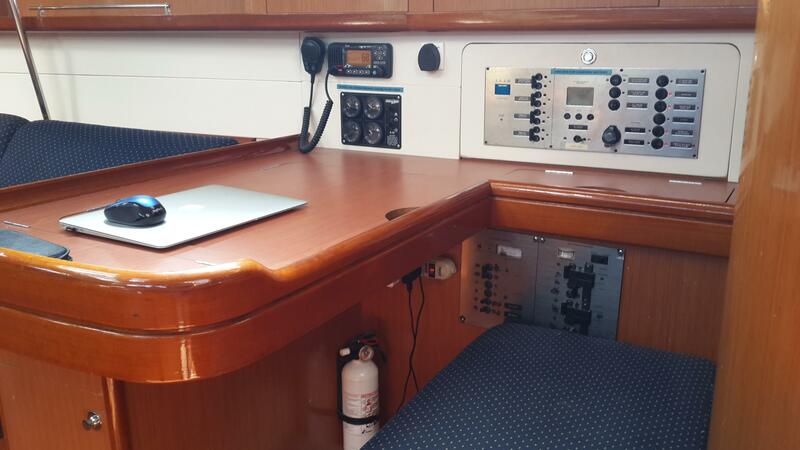 The chart plotter is mounted aft at the end of the cockpit table which makes it easy for viewing by the helmsman. 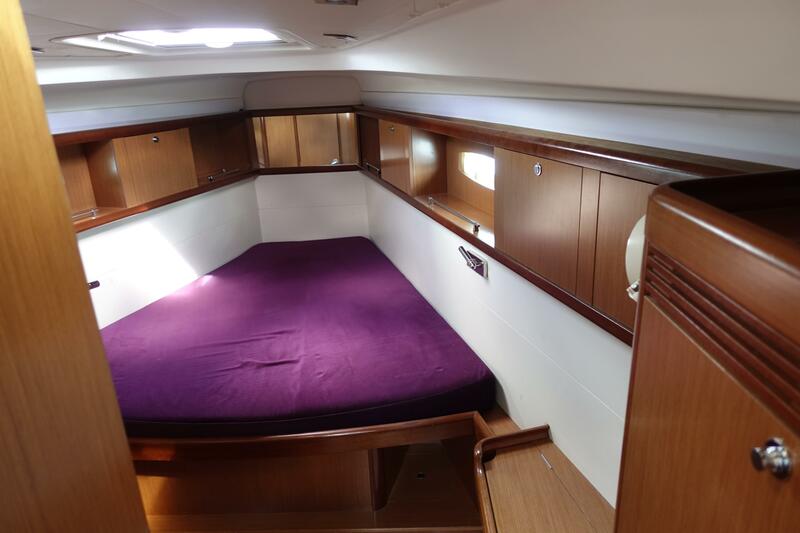 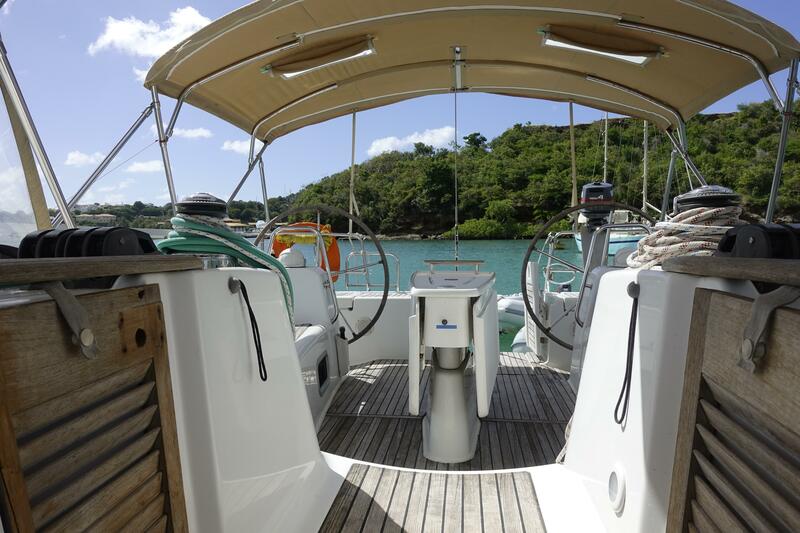 The forward cabin features an island-style queen size bed, dressing table and ensuite head. 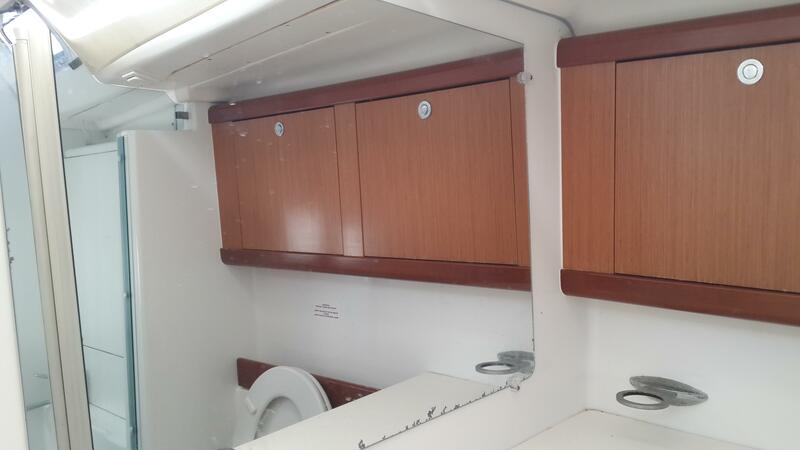 Two identical guest cabins are located aft. 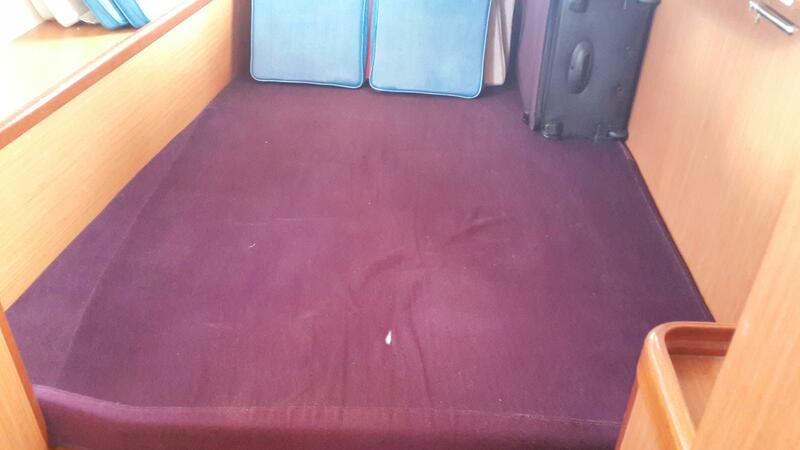 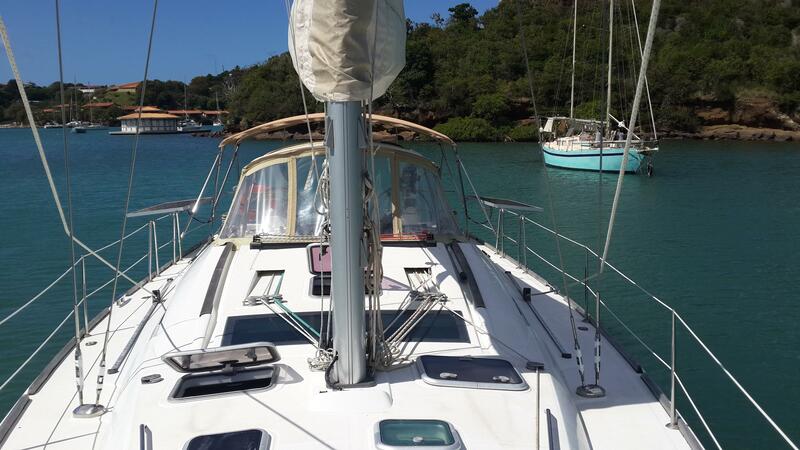 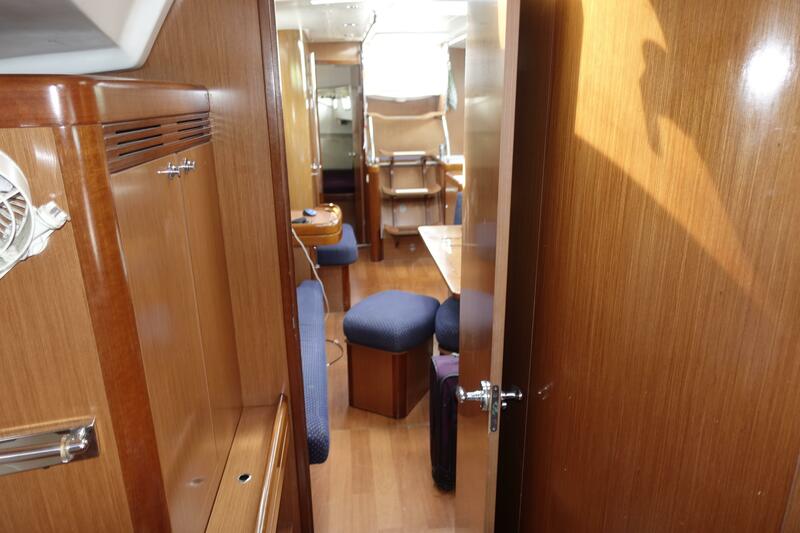 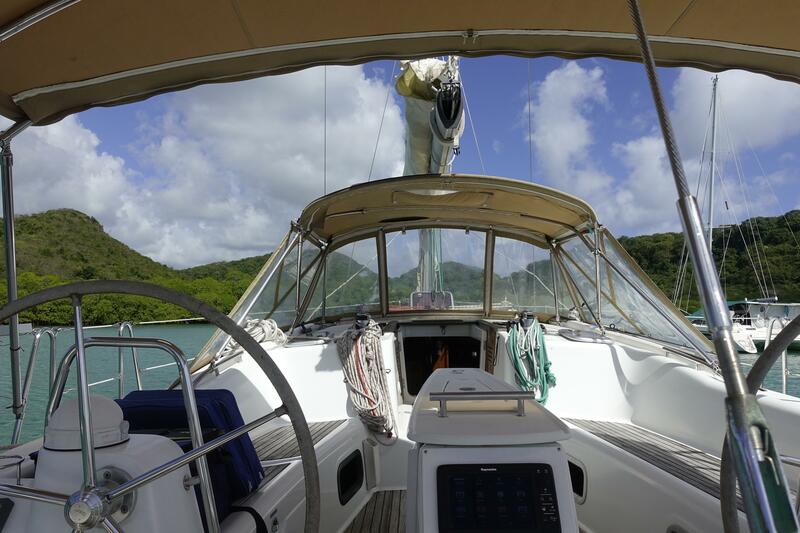 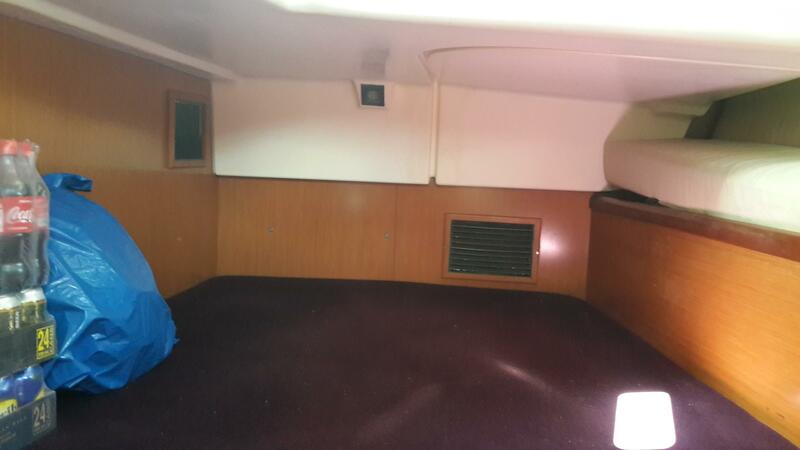 The roomy 2nd head is located conveniently at the bottom of the stairs to starboard and features a separate shower. 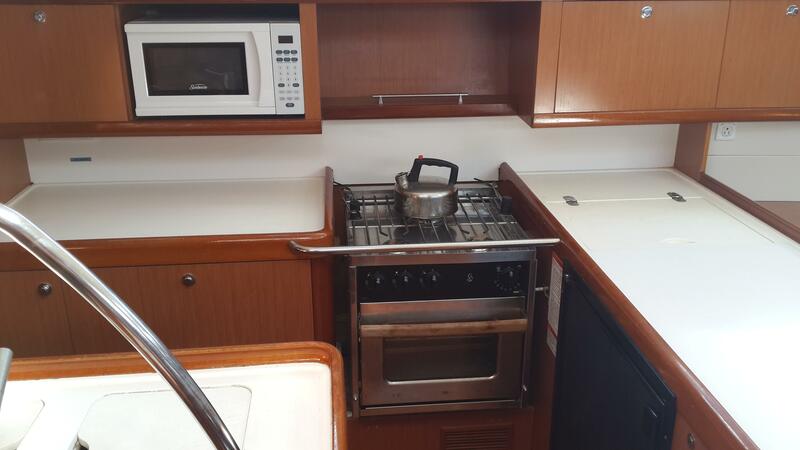 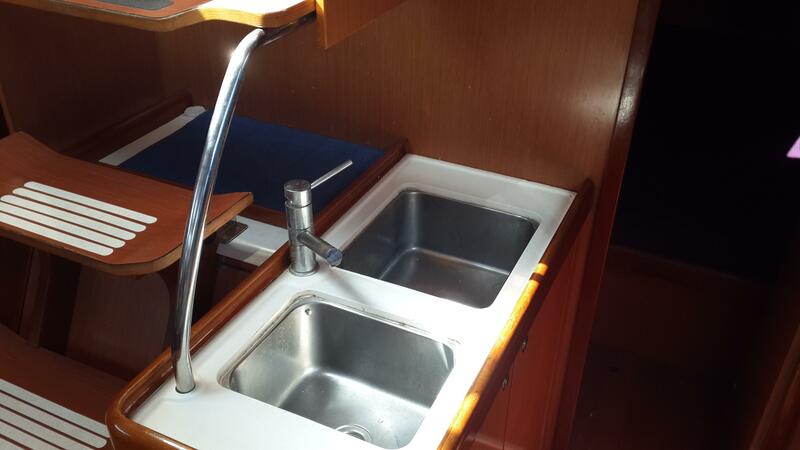 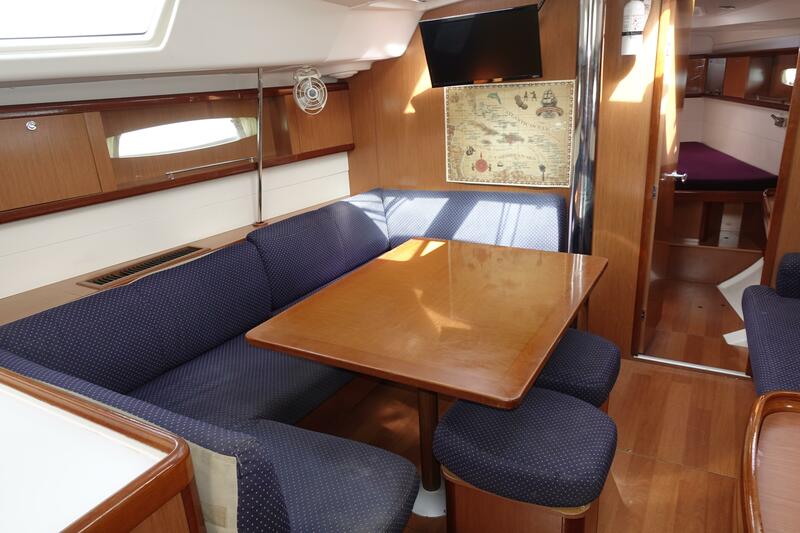 The U-shape galley is to port of the companionway - which is really handy under way or entertaining. 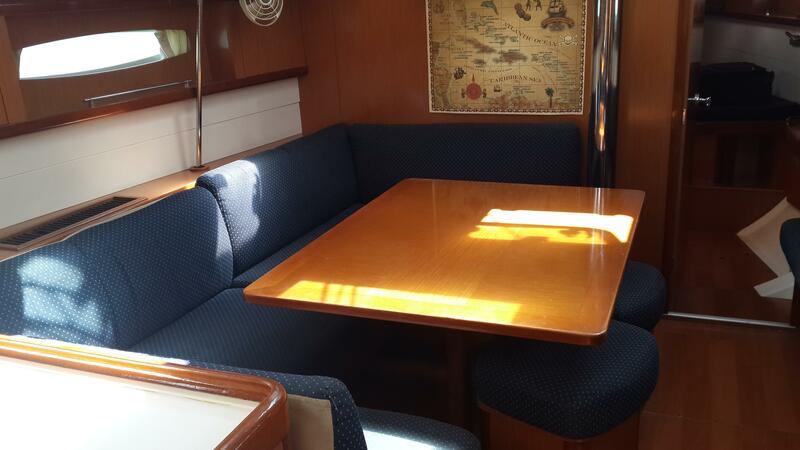 There is a U-shaped settee draped around a handsome table to port with two seats on the centerline. 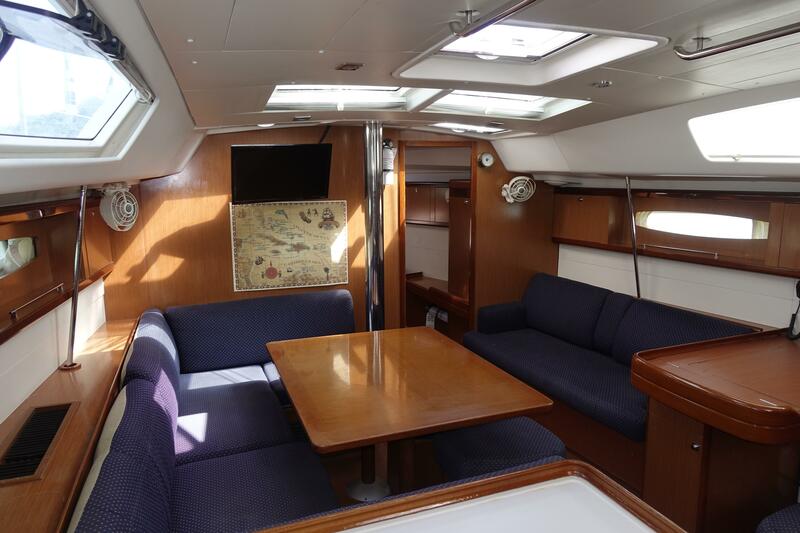 The settee to starboard includes a removable armrest, allowing it to become a sea berth. 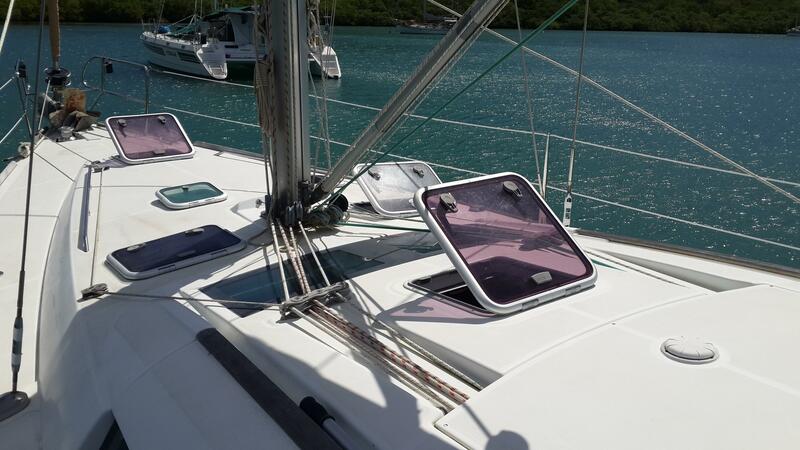 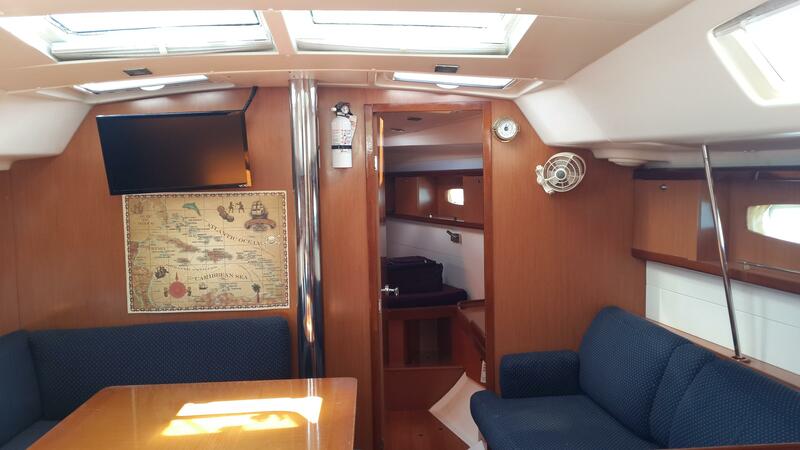 The large portlights are covered with pleated blinds and the overhead hatches have sliding shades. 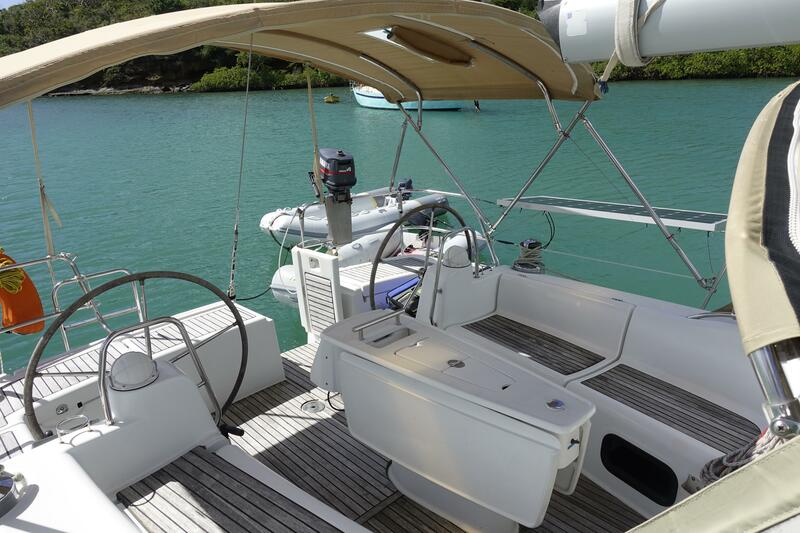 The hull is hand-laid fiberglass without a core and incorporates a molded structural grid or liner. 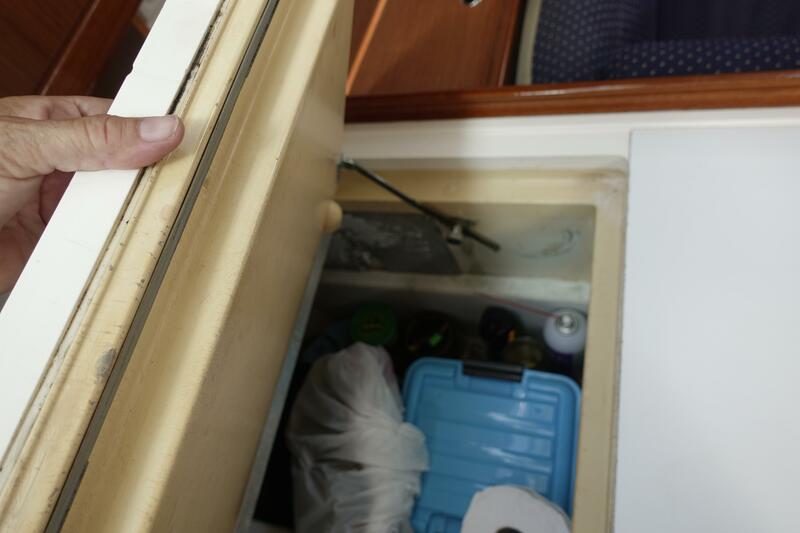 A vinylester barrier coat helps prevent blisters. 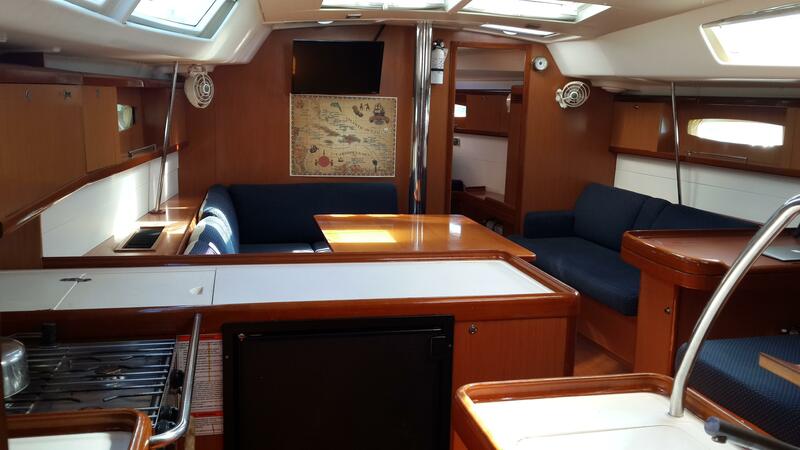 The deck is cored except under high-load areas where it is solid, beefed-up laminate. 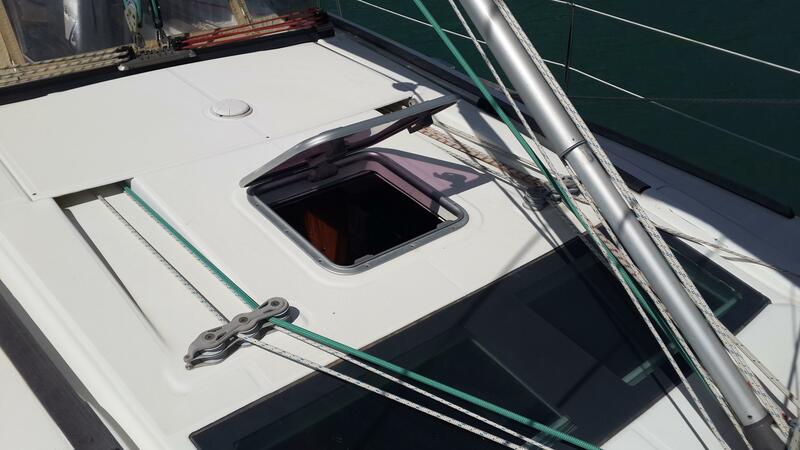 The main bulkheads are bonded through 360 degrees, providing torsional and compression strength. 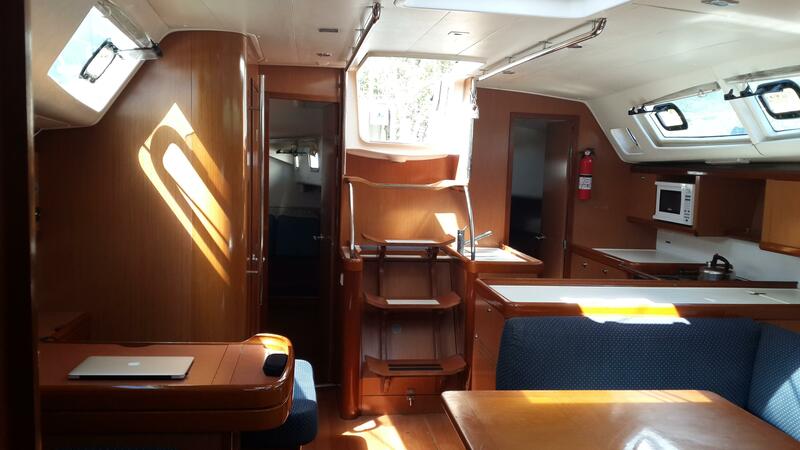 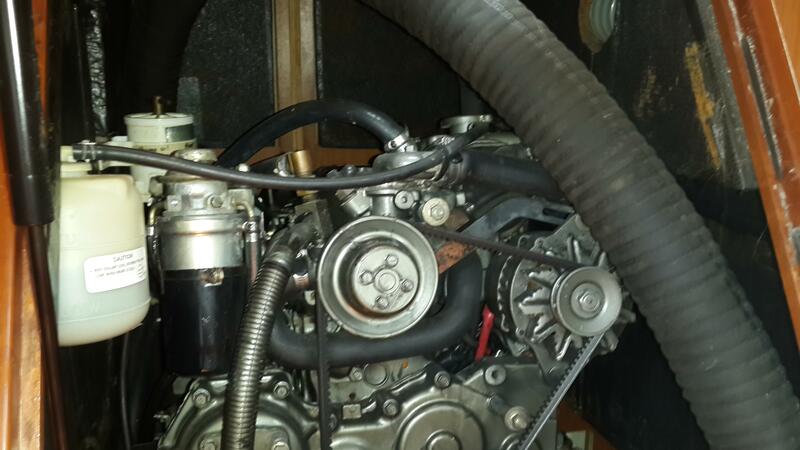 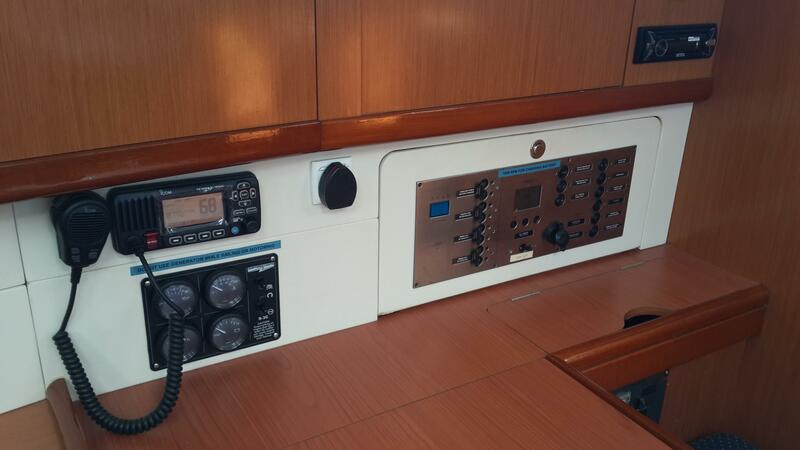 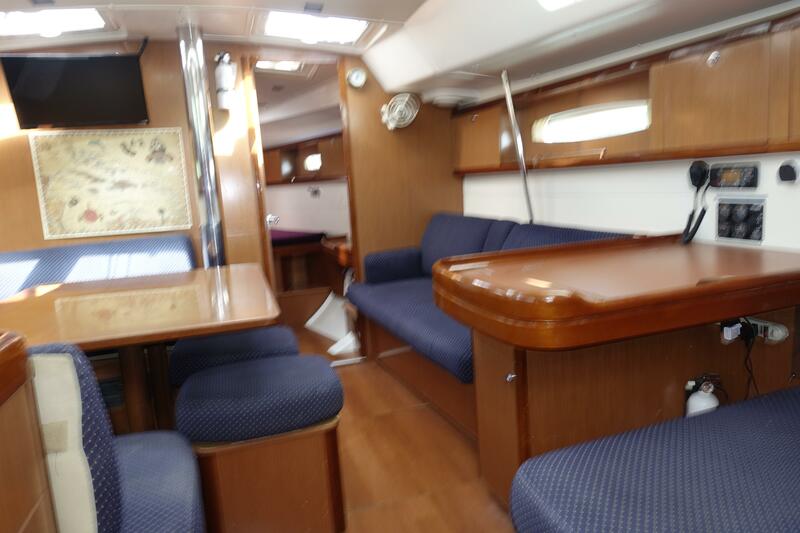 3 Cabin, 2 head layout with 120 volt A/C and generator. 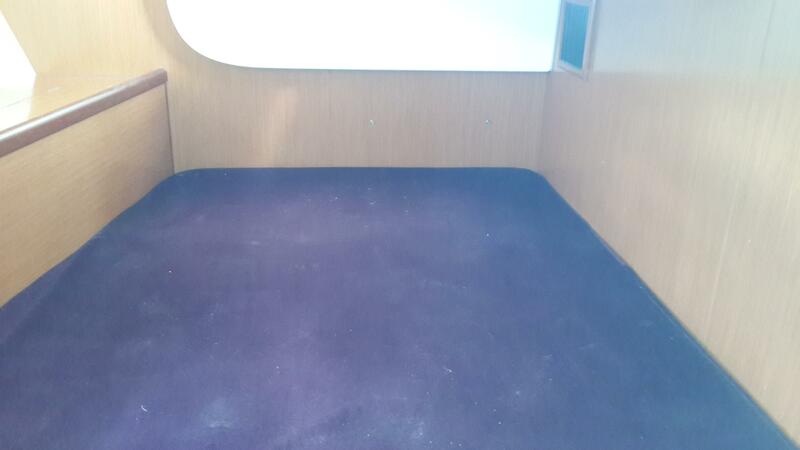 Light toned MOABI woodwork, soles with parquet-look finish. 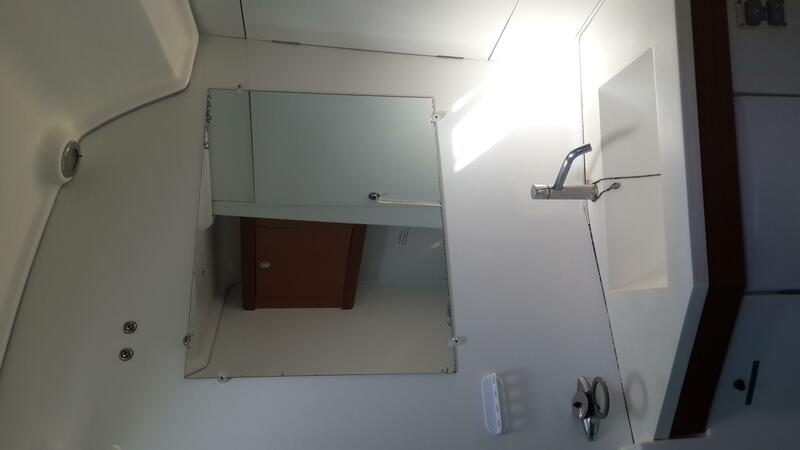 Double berth 6'7" x 4'11"